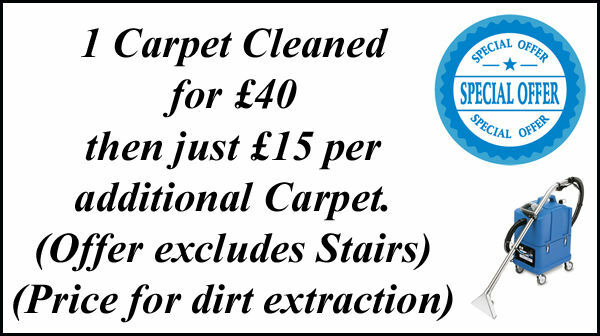 All Rug Cleaning prices are subject to one carpet being cleaned for the minimum price of £40. Prices for rug only cleaning are available on request. Prices are for basic dirt extraction clean and not for stain removal. Our price match offer is for rug cleaning only. (Customer must show us a local carpet cleaners website with cheaper prices for us to price match). All carpet cleaning prices are for a standard dirt extraction clean. The standard dirt extraction clean will take out normal soil but will not remove stains. Professional Carpet Cleaning throughout Scotland - James Burnett Carpet Cleaning provide Carpet Cleaners throughout Scotland. We offer everything from Basic Maintenance Carpet Cleaning to Stain Removal e.t.c. Call us on 0800 772 0430 for a free quote. We accept calls 24 hours a day and have an answer service for you to leave a message if we are unable to take your call. All telephone quotes are free.